Generator Review – If you are going to spend considerable amounts of time ‘Wild camping’ your are going to need some way of re-charging your 12v batteries – while solar can be a good solution in the summer we needed something to support winter use in the mountains, where the sun is often too low to reach down into the valleys even on cloudless days! There is a valve on the petrol cap so there are no petrol fumes when it is in storage. There are quieter units on the market (the best competitor is probably the Honda EU10i), but the Clarke is reasonably quiet and we couldn’t justify the £1000ish cost of the Honda vs £260 for the Clarke!. 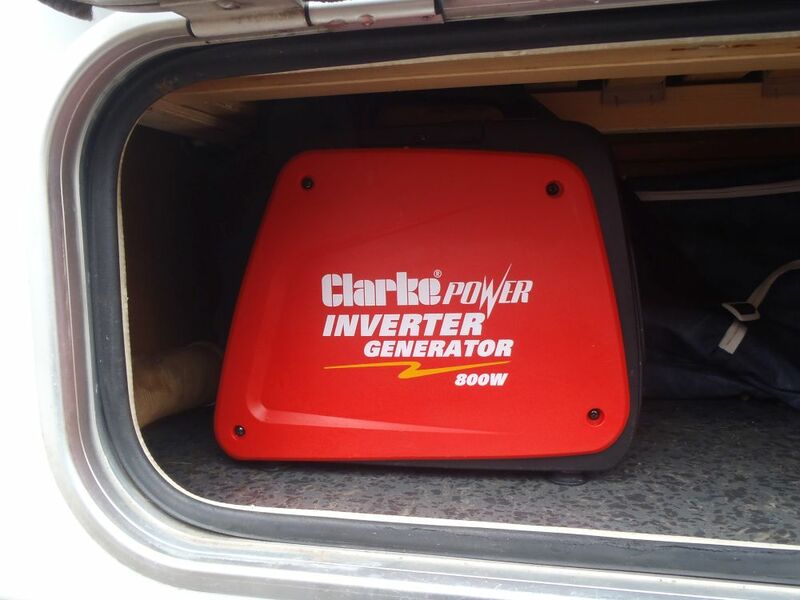 We’ve been totally happy with our little generator and would recommend it to anyone in a similar situation. Generators are a great thing to have in off the beaten track situations. You just know that you can charge a battery to get the car going or even work a power tool, should you need it. Another worthwhile bit of kit in the armoury of the independent traveller. I have the ancient and very quiet Honda EX 650. 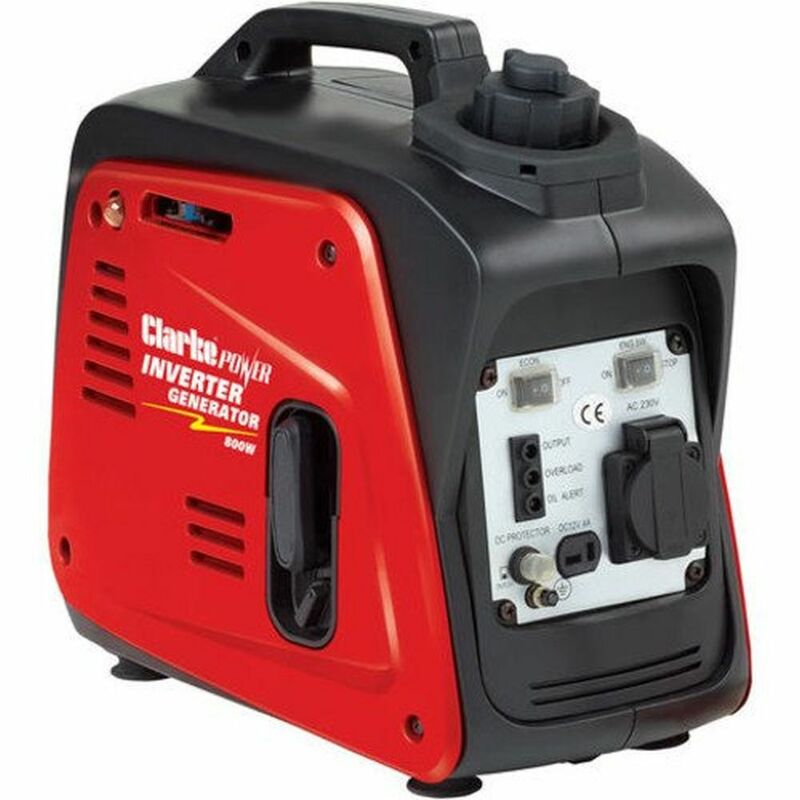 I think Inverter types Like that Clarke are better for digital and computer devices mind.